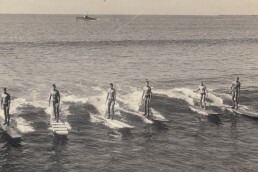 Meanwhile, California’s Bruce Brown filmed Mike Hynson and Robert August in 1963 discovering and riding “the perfect wave” at Cape St. Francis, 20 miles south of Jeffreys, in what would be the highlight sequence to Brown’s movie The Endless Summer. 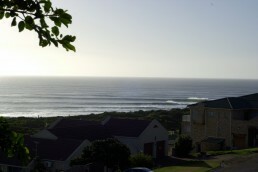 Three years later, as Endless Summer was being shown in theaters across America, a Surfer magazine article titled “Quest for the Perfect Wave” denounced Cape St. Francis as fluky and unreliable, and introduced the surf world to the far more dependable and consistent waves at Jeffreys Bay. 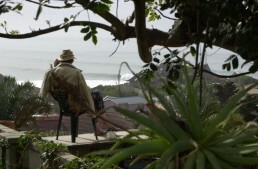 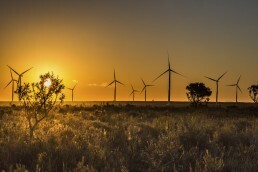 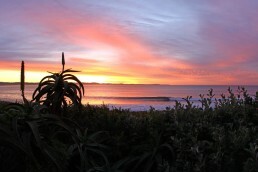 Visiting surfers began to camp out along the undeveloped sand- and aloe-covered beachfront, and dine in the nearby Afrikaner fishing township, also called Jeffreys Bay. 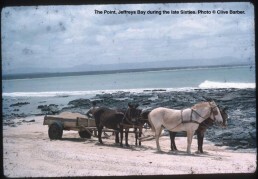 Jeffreys was a showcase wave from the beginning. 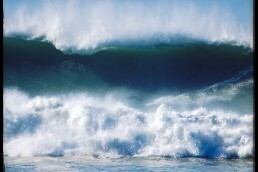 Gavin Rudolph, Jonathan Paarman, Peers Pittard, and Bunker Spreckels were among the early standouts. 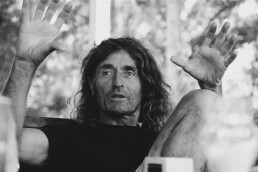 Terry Fitzgerald, the 1971 Australian champion and aptly nicknamed “Sultan of Speed,” was magnificent at Jeffreys throughout the ’70s, linking one blistering turn to the next. 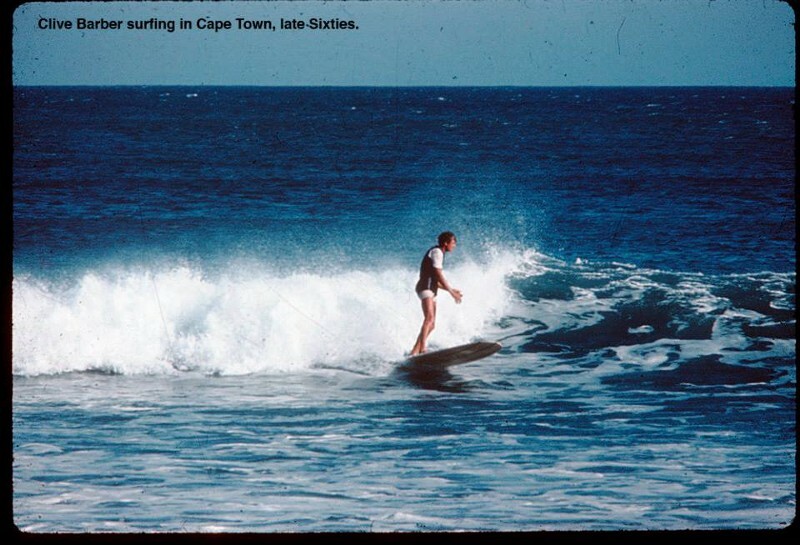 1977 world champion Shaun Tomson was for years the standout Jeffreys rider, placing himself deep inside the tube almost at will and driving his board into a wide range of turns. 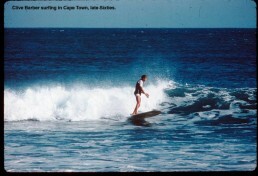 Mark Occhilupo of Australia, during his world tour debut in 1984, was one of the first goofy-foot surfers to match the regularfooters at Jeffreys. 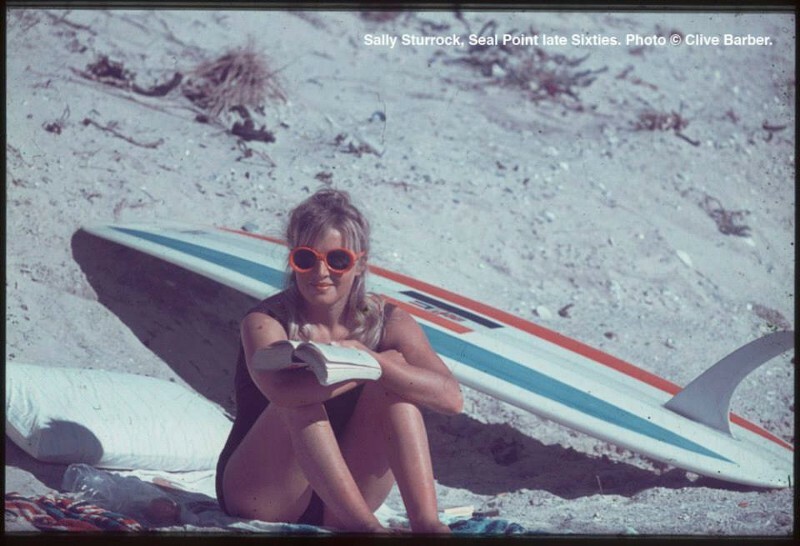 Beginning in the early ’90s, when high-performance shortboards became thinner and narrower, the performance level at Jeffreys among visiting pro surfers actually declined as their boards wouldn’t hold the kind of sustained turns that Jeffreys demands. 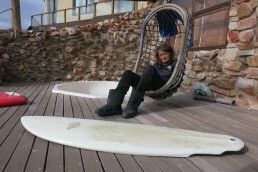 Tom Curren and Kelly Slater were able to find the right lines, however, and set a new Jeffreys standard before the end of the decade. 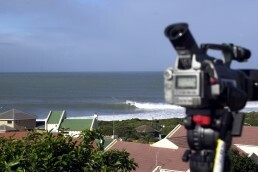 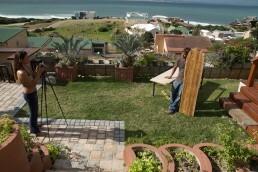 The world pro tour included a stop at Jeffreys Bay in 1984 and 1996, and from 1998 to 2011. 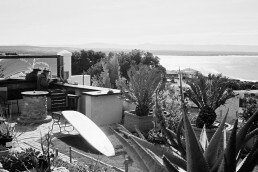 The 2001 Oxbow World Longboard Championships were also held at Jeffreys, with the win going to California surfer Colin McPhillips. 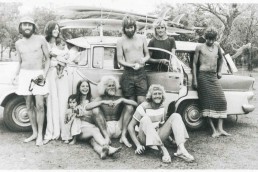 Jeffreys has over the years been home to a small but richly talented number of expatriate surf world eccentrics, including Malibu legend Mickey Dora, Florida ace Mike Tabeling, and Australian surf writer Derek Hynd. 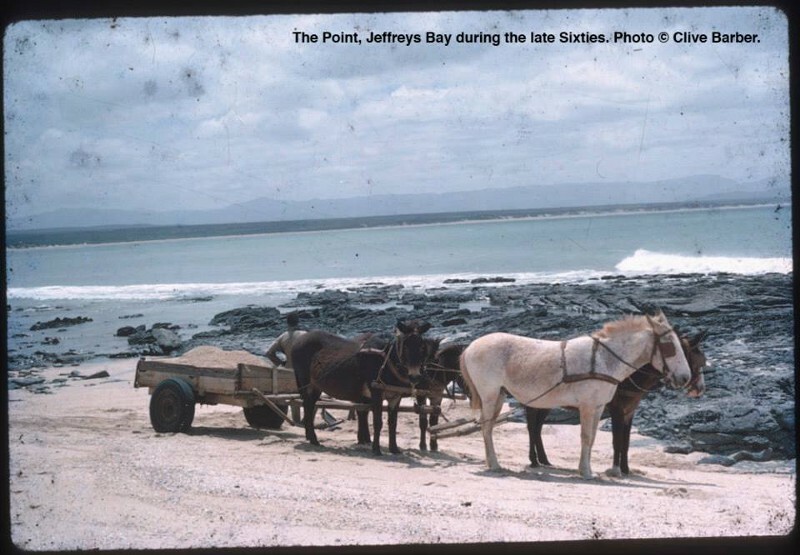 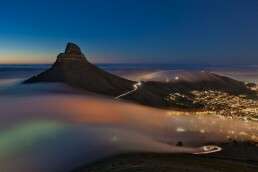 Once a remote but overwhelmingly beautiful break, Jeffreys, since the mid-’80s, has been crowded with South African vacationers and wave-seekers from around the world, and the rolling beachfront hills are now lined with houses, condos, and parking lots. 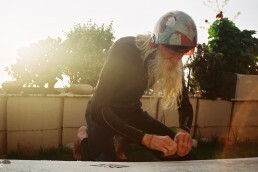 Jeffreys has been featured in dozens of surf movies, videos, and documentaries, including Freeform (1970), Fantasea (1978), Storm Riders (1982), The Search (1992), Endless Summer II (1994), Litmus (1997), Great Waves (1998), and Drive Thru South Africa (2005). 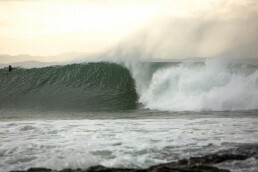 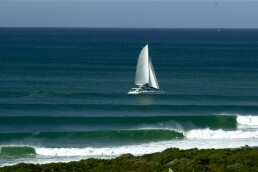 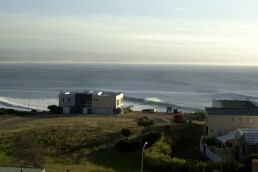 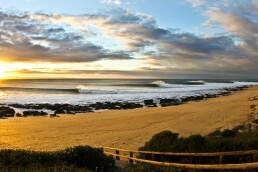 Jeffreys Bay: Down the Line at the World’s Best Pointbreak, a coffee table book, was published by Surfline in 2007.